Home »	Uninstall » How to Uninstall Tor Browser? Issue: How to Uninstall Tor Browser? I used to user Tor Browser for some time, but since the last update it just stopped working. It has been malfunctioning before, but these were the minor problems, which I resolved by reloading it. This time is different. Actually, I would like to uninstall Tor Browser, but I can’t find its uninstaller. Do you have a tutorial on how to remove Tor? 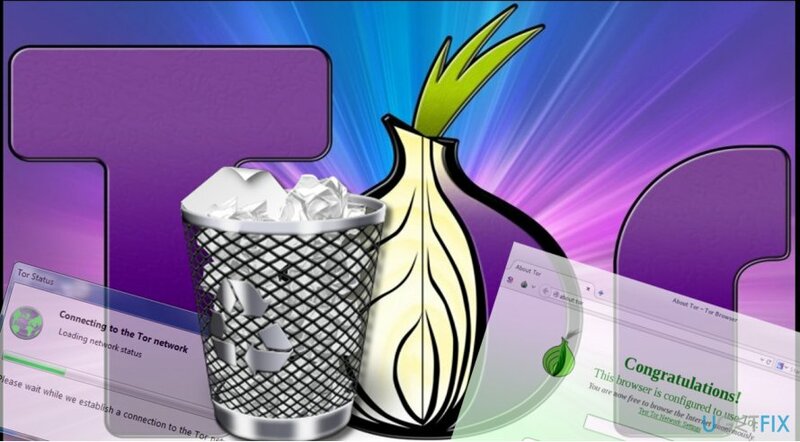 TOR (the onion routing) is a web browser developed by Tor Project, Inc. Originally it was developed by and for the United States Navy to protect the communication of the U.S. government. 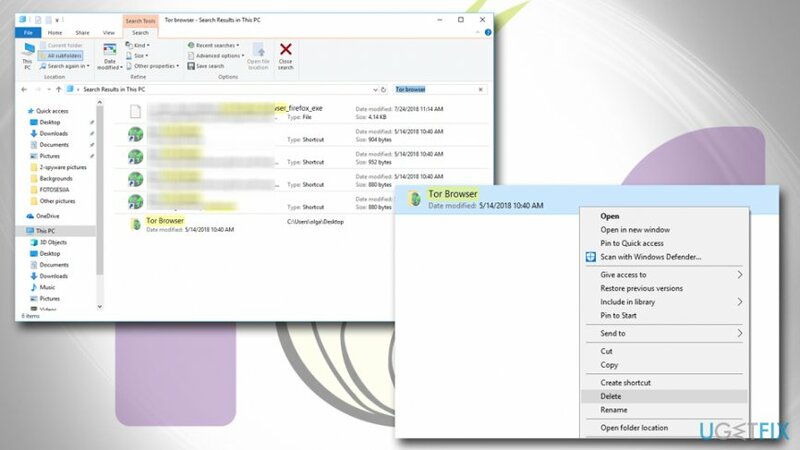 It works as a regular web browser designed for web browsing, except that it’s much more secure in terms of the privacy of both organizations and individuals. While most of the web browsers employ the direct connection to the internet, Tor connects through the series of virtual tunnels and therefore, prevents third-parties from analyzing people’s browsing activities and collecting personally and non-personally identifiable information. Besides, it also works as censorship circumvention utility as it can unblock blocked websites or contents. There are many other useful features of Tor Browser, but we are not going to expatiate on them. If you want to find more, please navigate to the official Tor website. In this post, we will provide Tor browser removal steps. It has been noticed that sometimes it spreads bundled with third-party tools, which is one of the reasons why people want to uninstall it. The others associate TOR browser with the darknet and criminal activity because Tor network is often used by cybercriminals, such as ransomware developers, for receiving victims’ payments. The others simply stopped using this browser for an unspecified reason and want to remove it for freeing up some space. Whatever the reason is, Tor removal may appear to be trickier than expected. 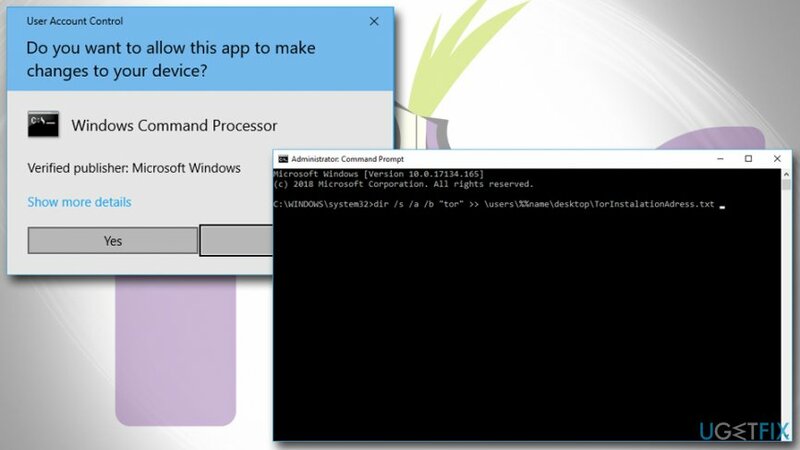 Go to the Windows start menu → Settings → Control Panel. When in Control Panel, find Add/Remove Programs. In the list of your installed programs, look for Tor and Tor-related applications. Single click on each of them and select Change/Remove. Then press Windows key + R, type regedit, and press Enter. Type Tor in the search address and check if there are any related keys. Remove all of them. Right-click on Start button and select Command Prompt (Admin). Now make a new text document. Save the file to the desktop as TorRemoval.bat and save as all file types. 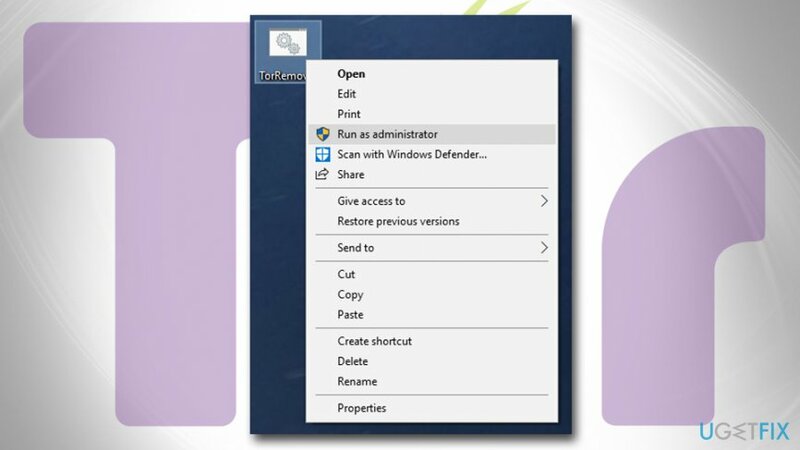 Right-click on the TorRemoval.bat and select Run as administrator. Wie deinstalliert man den Tor-Browser?